Notejoy takes a step further today in helping you always be in the know on the latest from your team with the launch of Notejoy Weekly, a digest email delivered every Monday morning with the most relevant new and trending notes from your colleagues. 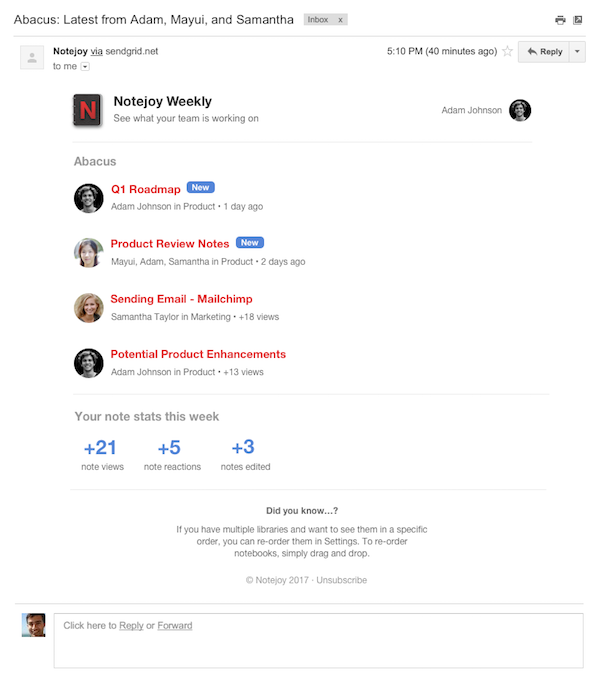 Notejoy Weekly is a simple and effortless way to stay up-to-date and discover what's going on in your team that you should know about. It also showcases your own stats, so you can see how your team is engaging with your notes. 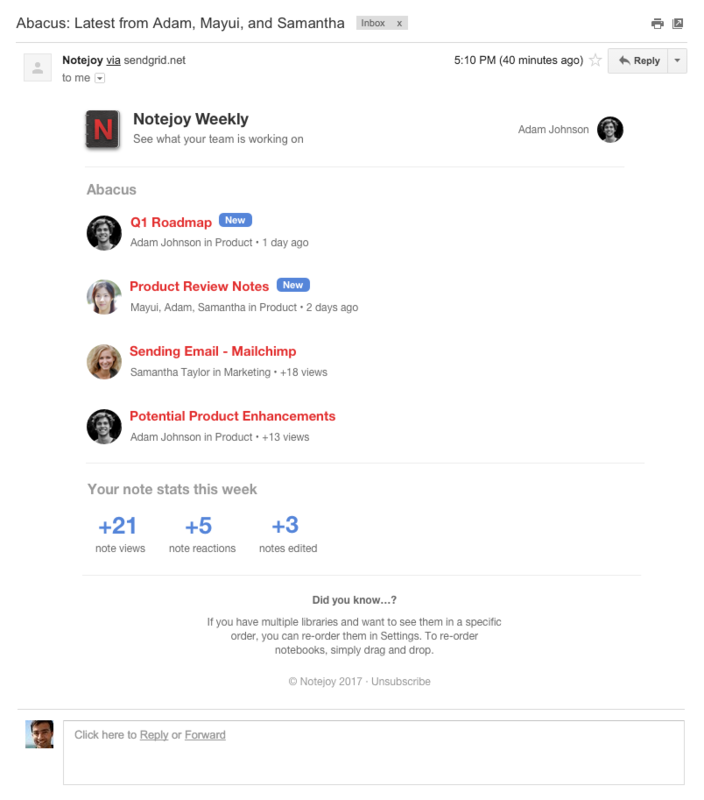 Notejoy Weekly is just another way Notejoy tries to take all the work out of collaborating with your team.